We are here to help at every step along the way. The more we understand your needs and circumstances, the better we can share with you our experience and expertise. 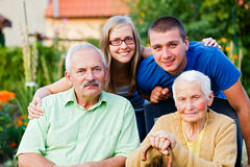 AdvantagePlusCaregivers.com® provides a wealth of resources and tips for caregivers, along with resources your loved one or care recipient might need. If you know of other helpful resources not listed on our REFERRAL SOURCES pages, please let us know by going to the CONTACT US page to send us a message. As we are expanding into more areas, we encourage your suggestions and understand the importance of including additional local references.